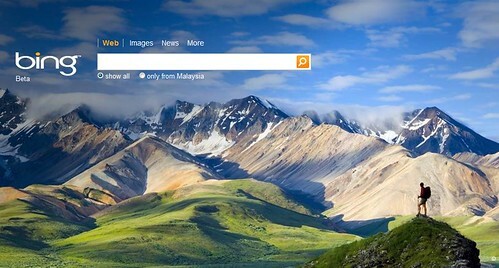 Bing or the “Google Killer” as said by some of the bloggers is a new powerful search engine from Microsoft. The search engine is still under beta testing but is running live as beta. Bing was set to go live by tomorrow (3rd June). Microsoft’s Bing has replaced its old search engine Live and later this year they announced to launch ‘Kumo’ the internal code name of Bing Search Engine. This blog rarely receives traffics from Microsoft’s Live search engine but it starts to receive some traffics from Bing website this few days. Hopefully this will be good news for most webmasters that the Bing may bring more relevant traffics to their websites.